Have you ever wanted to go on an African safari? Well this is your chance to not only go on one of the most exciting holidays of your life but also help protect rhinos in Africa. Zoos SA supports the Rangers of Kruger National Park in their fight to save rhinos through an annual safari tour to Southern Africa, hosted by Zoos SA Director of Life Sciences, Peter Clark. This tour starts in Mokhohlolo, Kruger National Park in August this year and winds its way up to Botswana and Victoria Falls. For two weeks of the year a very special camp in Mokhohlolo is set up by the Kruger Honorary Rangers, a camp that brings a very few lucky guests up close and personal with the wildlife of Kruger. All monies raised at this camp are used to buy the modern equipment needed to try and give an edge to the rangers in their fight against rhino poaching. 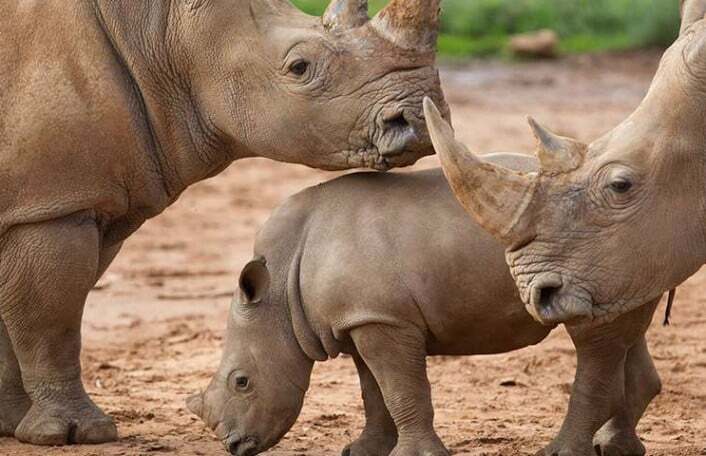 Last year South Africa lost a record 1,100 rhinos to poachers, this because of the extremely high price rhino horns fetch on the black market (reputedly up to US$70,000 a kilogram). If this cannot be stopped it will mean both white and black rhinos will become but a distant memory. At Mokhohlolo, you will not only learn more about what the rangers do but also see first hand how the Kruger animal capture unit moves some of these animals around to safer areas. You will see what Kruger looks like from the capture helicopter and you will participate in both driven and walking safaris all safely escorted by the best guides in Kruger. Tours usually encountered rhinos, lions and countless other stunning wildlife on safari. From Mokhohlolo, the tour heads up the vast area that makes up Kruger National Park to a private camp where you will experience the more luxurious side of the safari experience and then fly up to Botswana to a private camp on the Chobe River. Here we will get up very close to some of the 140,000 elephants that inhabit this area, this time by land and by water. Many different animal species will be seen here. Finally the tour heads to Victoria Falls, the largest of all the world’s waterfalls – a must see for everyone in their lifetime! Only eight guests (twin share) participate on this tour. Only two places remain, so if you are interested in joining this experience of a lifetime, please contact Gail at Adelaide Travel on 08 8212 0511 or gail@adelaidetravel.com.au.